Not to be confused with polo shirt. A polo neck, roll-neck (UK) or turtleneck (US, Canada) or skivvy (Australia, New Zealand) is a garment—usually a sweater—with a close-fitting, round, and high part similar to a collar that folds over and covers the neck. It can also refer to type of neckline, the style of collar itself, or be used as an adjective ("polo necked"). A simpler variant of the standard polo neck is the mock polo neck (or mock turtleneck), that resembles the polo neck with the soft fold at its top and the way it stands up around the neck, but both ends of the tube forming the collar are sewn to the neckline. This is mainly used to achieve the appearance of a polo neck where the fabric would fray, roll, or otherwise behave badly unless sewn. The mock polo neck clings to the neck smoothly, is easy to manufacture, and works well with a zip closure. Woman in an unfolded polo neck. Polo neck-like garments have been worn for hundreds of years, dating at least to the 15th century. From the late 19th century on, polo necks were commonly worn by menial workers, athletes, sailors and naval officers. Since the middle of the 20th century black polo necks have been closely associated with radical academics, philosophers, artists and intellectuals. The polo neck jumper became an iconic symbol of the French philosopher Michel Foucault. Polo necks also became a big fashion for young wealthy men after they were worn by European film stars Marcello Mastroianni and Yves Montand. The term polo neck, common in British English, is thought to derive from garments with similar necklines worn by polo players. Greta Garbo often wore polo necks and trousers privately, as later Audrey Hepburn would do in official photographs. Vladimir Putin of Russia and Andreas Papandreou of Greece are two examples of European statesmen fond of wearing polo necks. Their adoption by Noël Coward in the 1920s turned polo necks into a brief middle-class fashion trend, and feminists made them into a unisex item. In the 1950s the black polo neck became a distinctive mark of existentialists. Absorbed into mainstream American fashion by the mid 20th century, the polo neck came to be viewed as an anti-tie, a smart form of dress for those who rejected formal wear. 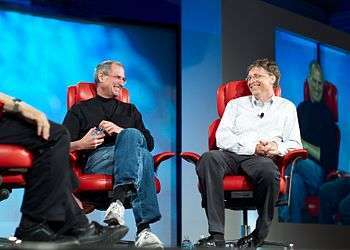 Senator Ted Kennedy, pianist/conductor Vladimir Ashkenazy, conductor Seiji Ozawa, philosopher Michel Foucault, singer Barry Manilow, scientist Carl Sagan, and Apple Inc. co-founder Steve Jobs were among those often seen in polo necks. Over time it grew and as a women's wear, it became a fad, among teenage girls, especially in a lightweight form that emphasised their figures. It was not long before Hollywood was also exploiting this image as part of the sweater girl look. By the late 1950s the "tight turtleneck" had been adopted as part of the preppy style among students, a style emphasising neatness, tidiness and grooming. This would become an important aspect of the polo neck's image in the United States. The look would filter through to Britain and the rest of Europe in a watered-down version. Very elegant polo necks of silk or nylon knit, especially made with French cuffs for formal dress affairs, have also seen success in American fashion. Polo necks have historically (and controversially) acted as substitutes of the traditional and dominant shirt and tie look. 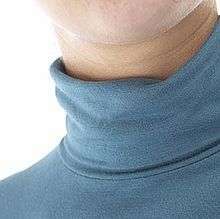 Some of the fiercest conflicts regarding the polo neck's use took place in upscale restaurants and in weddings, where polo necks have been used in violation of the shirt and tie. turtlenecks are the most comfortable garment you can wear. They move with the body, and they're flattering too, because they accentuate the face and elongate the figure. They make life so easy: you can wear a turtleneck to work and then afterwards throw on a jacket, and it becomes very dressy. You can go anywhere you like. ↑ Chilvers, Simon (2011-08-23). "Man-trend: Roll-necks | Fashion | guardian.co.uk". Guardian. Retrieved 2013-03-14. ↑ Eribon, Didier (1992) . Michel Foucault. Betsy Wing (translator). Cambridge, MAS. : Harvard University Press. p. 311. ISBN 978-0-571-14474-7. ↑ John Ayto (2002). 20th century words. 外语教学与研究出版社. ISBN 978-7-5600-2874-3. Retrieved 17 August 2012. ↑ American Costume, 1915-1970: A Source Book for the Stage Costumer. Books.google.gr. 1989-08-22. Retrieved 2013-03-14. ↑ Olivarez-Giles, Nathan (October 11, 2011). "Steve Jobs' black turtleneck reportedly explained in biography". Los Angeles Times. Technology (blog). Retrieved June 7, 2014. 1 2 3 Hoffmann, Frank W.; William G. Bailey (1994). Fashion & Merchandising Fads. Haworth Popular Culture. Binghamton, N.Y.: The Haworth Press. pp. 267–268. ISBN 9781560243762. OCLC 27225478. Retrieved June 7, 2014. Wikimedia Commons has media related to Turtlenecks.